Studies of the mummified Ukok 'princess' - named after the permafrost plateau in the Altai Mountains where her remains were found - have already brought extraordinary advances in our understanding of the rich and ingenious Pazyryk culture. The tattoos on her skin are works of great skill and artistry, while her fashion and beauty secrets - from items found in her burial chamber which even included a 'cosmetics bag' - allow her impressive looks to be recreated more than two millennia after her death. Now Siberian scientists have discerned more about the likely circumstances of her demise, but also of her life, use of cannabis, and why she was regarded as a woman of singular importance to her mountain people. In his workshop in a 200-year-old barn in rural Quebec, Boyd Pellow handcrafts electric guitars using traditional luthier methods to create beautiful instruments with optimal sound. The guitars are uniquely designed, using classic styles of the 50s and 60s for inspiration, and aside from the marijuana leaves emblazoned on each headstock, there’s no indication that there is anything at all out of the ordinary about the instruments... until it comes out that they’re built from hemp. It's an app for the times. CanniMed Ltd. in Saskatoon has developed a program for medical marijuana users. It cross-references how much a patient smokes every day with their supply. It then calculates when they need to re-order. Brent Zettl is CanniMed's president. He said this is a response to the rules around ordering medical marijuana – not a patient's forgetfulness. "Every other prescription they just walk into the pharmacy, ten minutes later, assuming there's no line up, they've got their prescription filled. In this case, it's not that convenient yet," he said. "Again, it's trying to be patient-friendly in the reminder, just like any other medication." The app is free, and works on Iphones, Androids and Blackberries. Dazed and confused about how a British drug maker can legally sell a drug made from cannabis in several countries around the world? Come this way for enlightenment. DENVER – The gold rush of legalized marijuana in Colorado and Washington is creating a confusing market of goods and services, from illegal Craigslist pot deliveries to a marijuana vending machine and a food truck selling pot-infused sandwiches. 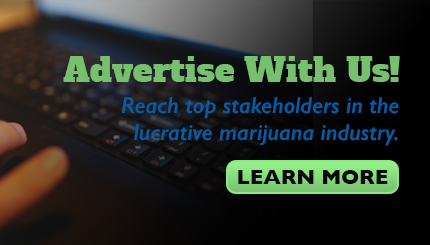 While recreational marijuana sales are legal in both states, the marketplaces are surrounded by a web of laws and regulations intended to keep buyers paying taxes and transactions aboveboard. But with tens of millions of dollars in profits up for grabs, entrepreneurs are flooding the market with products and services operating in a gray area. Some ventures are completely illegal but the vendors escape prosecution by trying to stay low key. Others grab headlines that are misleading at best. Researchers are discovering ways to grow marijuana more efficiently. The legalization of marijuana in some U.S. states has energy providers worrying that a boom in indoor growing could put a chronic drain on electricity resources. In Colorado, where recreational use was made legal in January, construction of marijuana grow houses is taking off. Utilities there and in Washington state, along with academic researchers, are exploring ways to reduce the energy consumption and carbon emissions associated with this “indoor agriculture.” In grow houses, plants are nurtured under lights that mimic the intensity of the sun. Legalization may ultimately mean that some growing moves outdoors. But grow houses protect crops from the elements, not to mention thieves.